I always wanted to be a June bride! Well, who cares that its mid-July at this point? Summertime is the traditional wedding time of the year, and since I was just married recently, I wanted to celebrate with some wedding photos. No, not my own. Just some wedding touches for the planning bride-to-be, some ideas to consider. 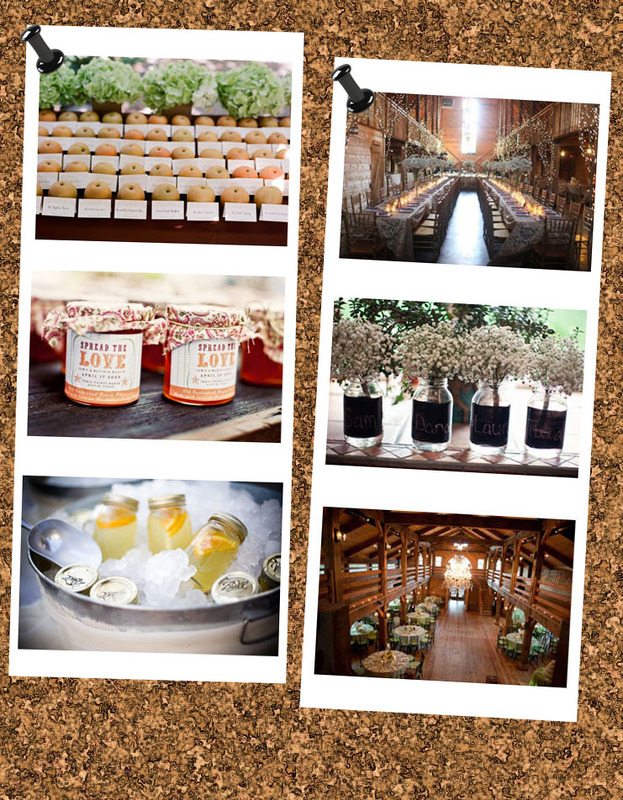 I’m going to go with a country-themed wedding because…well, because they’re homey and kitschy and just so adorable! Even the most die-hard city dweller would have a hard time not having fun at some of these fetes. The champagne glasses are the same as a big fancy city wedding, and the drinking glasses have much more character. Place cards can be inventive instead of boring, and bring fun to the table. You can even incorporate mason jars into it – you really can’t get more country than that, and they have so many uses! Of course, I could take up pages of ideas, but here are some of my personal favorites. Enjoy! Next Post Pens – it’s just a harmless addiction!